320 pages, including exclusive features like one fold-out insert (170gsm paper), 11.8 x 11.8 x 1.5 inches (30 x 30 x 3.8 cm), Italian linen bound with foil blocking on the cover and spine. This book presents 225 of these photographs in large print format. Restoring imagery from the original scans of 70mm film rolls the astronauts shot during the program. 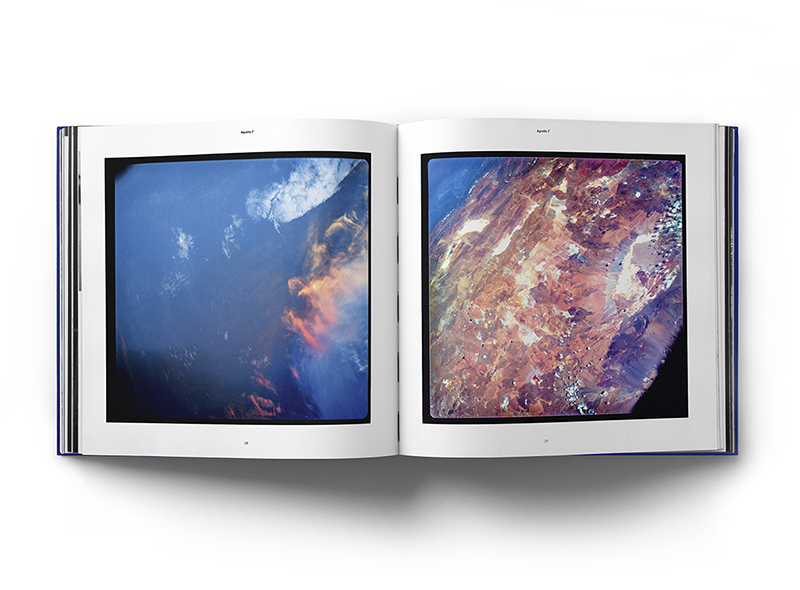 The book contains a variety of images, ranging from shots taken through the windows of the Command Module of the specular views found on the Earth’s surface, surreal and abstract black and white photography of the lunar surface, to photographs of each of the 12 men in their space suits walking on the surface of the moon. The book also has a unique and exclusive short essay written by Apollo 7 astronaut, Walt Cunningham, who flew on the very first manned Apollo mission. 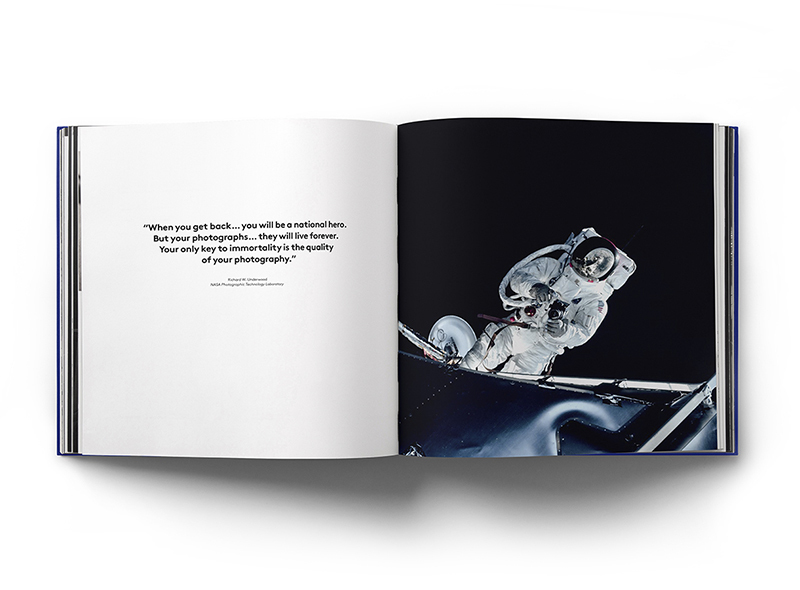 The essay focuses on his pioneering experimentation and testing of the Hasselblad camera that flew with him on board. It was his endeavours that created the foundations for his fellow Apollo astronauts.